It’s been a busy summer for local food issues in Texas, between the ongoing developments in the state’s health department crackdown on raw milk, the state’s adoption of new federal food safety regulations, and laying the groundwork for a slate of bills for next year’s Legislative Session. FARFA Executive Director Judith McGeary attended the Harris County hearing, during which the courier (who was cited for operating an unlicensed retail food establishment) was represented by a criminal attorney provided by the Farm-to-Consumer Legal Defense Fund. A jury trial was set for December 14, although we will continue working to have the case dismissed before it reaches that stage. In Travis County, where a similar incident took place, officials decided not to pursue the case against the raw milk courier. DSHS is taking steps to adopt the FDA’s new food safety regulations under the Food Safety Modernization Act (FSMA), in order to receive federal funding to do the inspections and enforcement at the state level. On August 17, the staff brought the proposal before the DSHS Policy Council, seeking approval to move ahead with the rule-making process. FARFA headed up a group of organizations and individuals to tell a more complete story to the DSHS Policy Council. While we recognize that DSHS will almost certainly adopt the federal regulations, it’s vital that the agency not do so blindly – and not simply enforce these new, very extensive and expensive regulations with the same sort of approach that they’ve taken in the past. The public comments raised numerous issues: The lack of communication with stakeholders, the focus on enforcement rather than education, the agency’s failure to take responsibility when federal regulations that it is enforcing are ambiguous or unreasonable, and the fact that ambiguity within regulations has allowed certain staff members to display personal biases within their performance of job duties. Several Council members responded by directing the DSHS staff to do more to communicate with our producers and to seek solutions to the problems. We will be following up with the agency, both with respect to the FSMA regulations and more broadly, seeking reforms on how the agency functions. 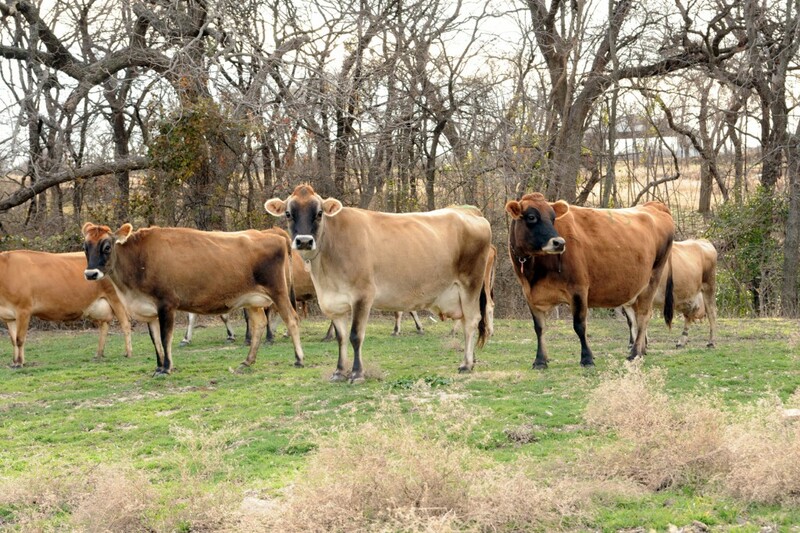 Currently, raw milk is legal in Texas, but can only be purchased directly from the dairy farmer, on the farm. The bill would allow raw milk sales at farmers’ markets and by delivery. The primary opponents to the bill in past sessions have been the large dairy co-ops who have a stranglehold on the market and are threatened by direct marketing options for small dairy farmers, along with health departments who focus on fear-based rhetoric rather than data and facts. This bill has gotten closer to passing each session that we’ve worked on it (last year, it passed the House only to die in the Senate). This time, we’ll make it! The Cottage Food Law is wonderful, but it’s time to take the next step! FARFA helped pass the Cottage Food laws in 2011 and 2013, allowing the sale of certain non-potentially hazardous foods directly to consumers. Over 1,000 new businesses were created as a result, but the bill’s list of allowed foods and allowed sale locations still prevents many home food producers from being able to legally sell their goods. 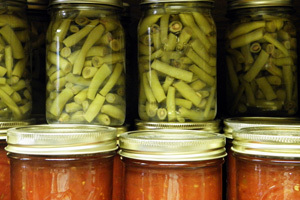 We are proposing a new bill that would allow additional foods such as tamales, canned vegetables, fermented foods, and perishable baked goods to be made in home kitchens (both on-farm and off). Sales would be allowed both directly to consumers and wholesale, including through mail order and internet sales, as long as the producer and consumer are both in Texas. We’re also bringing back another bill from last session: the “fair taxes for small farmers” bill. Although small farmers should be taxed based on the agricultural value of their land, too many of them are forced to pay higher taxes because the county tax assessors create unreasonable acreage minimums, or simply refuse to consider farms using sustainable farming methods or that grow mixed vegetables for market. This bill also passed the House last session, and we’re working to address the objections that caused it to die in the Senate. An additional new bill we’re working on will address the problem that farmers have to wait five years before they can qualify for agricultural valuation. This is a particularly challenge for young beginning farmers, who simply don’t have the capital to pay the extra taxes while they’re starting up. The new bill would reduce the wait for both young beginning farmers and for veterans. We still need sponsors for this bill, so if this is important to you, please contact Judith@FarmAndRanchFreedom.org to discuss how we might get your legislators on board. 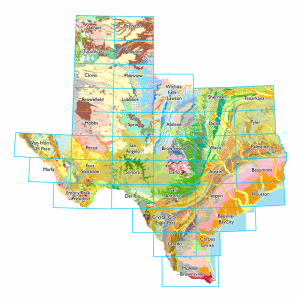 Powerful special interest groups and legislators are pushing to remove local control over groundwater and undermine the current (fairly limited) protections for aquifers. If successful, several key aquifers underlying rural and agricultural lands would be unsustainably pumped, irreparably damaging farmers’ ability to raise food. We’re working to build a coalition to support and strengthen local control, focus on conservation on an ongoing basis (not just during droughts), and recognize the value provided by working farms and ranchlands. Small farmers and artisan food producers navigate a maze of regulations from multiple agencies and jurisdictions: Department of State Health Services, Department of Agriculture, Animal Health Commission, and local health departments. The regulations are often difficult for small-scale operators to understand and implement. We are working on a bill to establish an ombudsman position, both to help the farmers and producers figure out what is required and to communicate with agencies when conflicting interpretations exist. We still need sponsors for this bill, so if this is important to you, please contact Judith@FarmAndRanchFreedom.org to discuss how we might get your legislators on board. Find out who your legislators are online at www.fyi.legis.state.tx.us, where you will also find their email links. A phone call is a powerful way to make your views known to your legislators – much stronger than petitions or form emails. Just a 5-minute call, in which you explain who you are and why the issue matters to you and your community, can have a major impact. Or send a personalized email with that information. An in-person meeting is even more powerful. And now, when the legislators are not in session, they’re in the home districts and you can easily meet with them locally. We have tips on how to meeting with your legislators posted at http://farmandranchfreedom.org/take-action-center/tools-and-resources/, and we can provide more details and talking points on all of these issues.